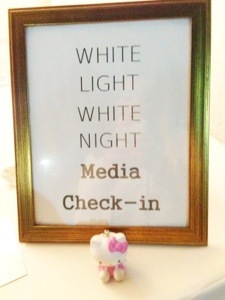 I recently attended the 7th Annual White Light, White Night charity event that was held at the Manhattan Beach Studios. 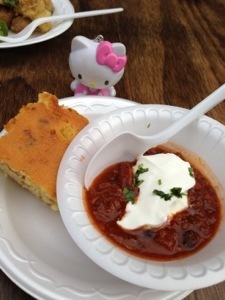 I was there to cover the event for South Bay Foodies. 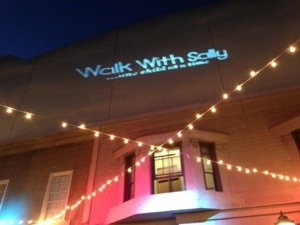 The event is a great fundraiser to support Walk With Sally. Walk with Sally is an organization that provides mentoring support programs and services to children who have parents or siblings with cancer. This was a great event for a great cause! It was a night full of love and light. It was amazing to see so many people there. 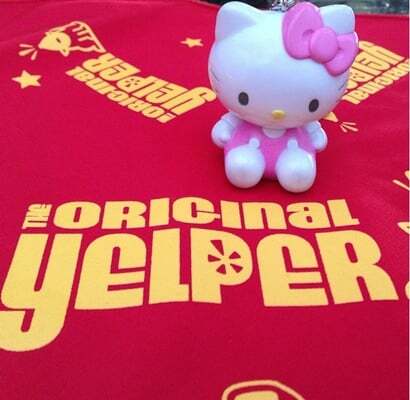 Various restaurants came out to support the event and this blog post is a little way to give props to those eateries who took time out to be a part of this event. Paul Martin’s was one of the first boothes serving up hot and savory items. 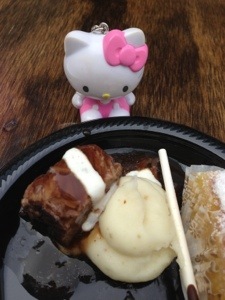 They gave out small dishes of braised beef short ribs with mashed potatoes, creamy horseradish sauce and beef jus. 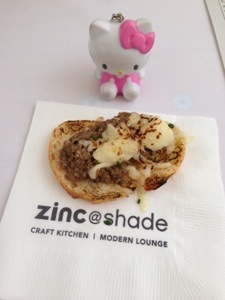 Zinc @ Shade was offering various yummy dishes. I tried the mushroom duxelle bruschetta. 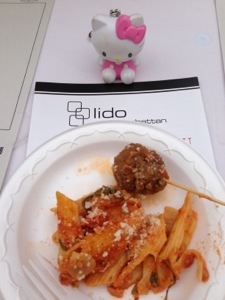 Lido Manhattan had Italian offerings for both carnivores and vegetarians. They had meatballs and vegetarian pasta. 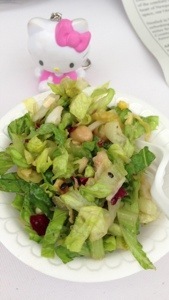 Hudson house came out with a unique salad dish for guests. 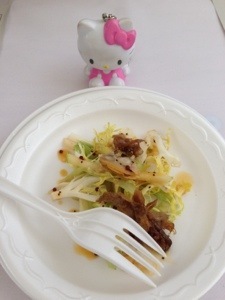 They gave out a duck confit, apple and salary salad. 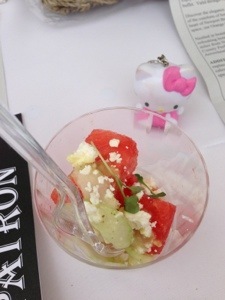 Salt Creek Grille was offering refreshing treats via their watermelon salad. 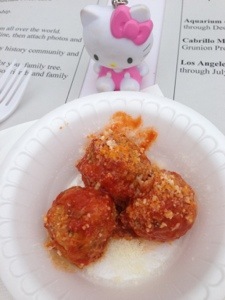 Pitfire Pizza gave a little taste of classic Italy via their meatballs and salad. 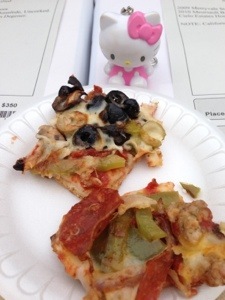 Fresh Brothers was giving out delicious pizza slices of two of their popular pizza offerings! Kincaids had their famous dessert. 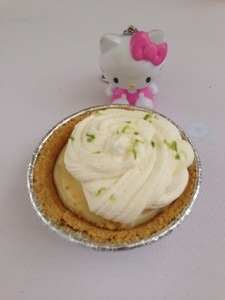 Their key lime pie was awesome. 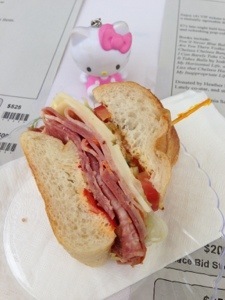 Rock and Brews had brews and a rockin sandwich that was filled with deli meat and cheese. Tin Roof Bistro was right next by to give an accompanying salad. 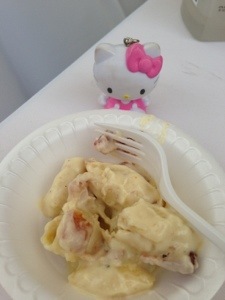 The Rockefeller is coming to Manhattan Beach and they gave a taste of what’s to come via their bacon mac and cheese truffle. Torrance Bakery was one of the more popular booths that night because of their impressive display of pastries! 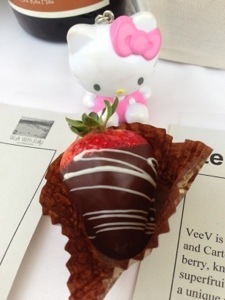 They had cookies, cake, brownies and chocolate dipped strawberries! 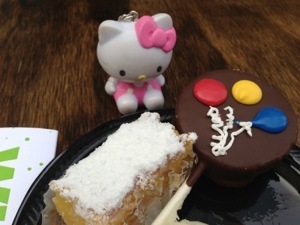 As a media guest, I got to try those yummy treats and more! 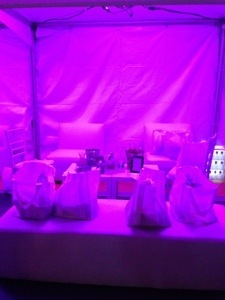 The VIP lounge was beautiful! 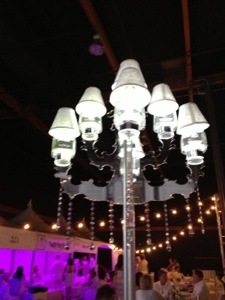 I really liked the cool chandeliers that were made by glasses from one of the sponsors. Yay to all the eateries and other sponsors who were present to support Walk with Sally. The food, music and party was awesome but beyond that what was amazing was the reason for the event and the people who came out to show that they cared. 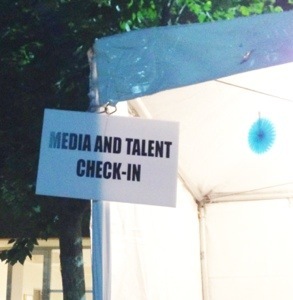 It was truly a blessing and honor to cover this event as a South Bay Foodies coordinator! 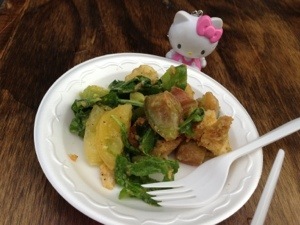 Please read my recent South Bay Foodies article about the event here. Hello Blaze Fast Fire’d Pizza!